This International Master’s in Applied Ecology is a two-year course that brings together six leading universities from across the world to train you as a specialist who will go on to lead ecological projects in a wide range of environments. The institutions involved are University of East Anglia (UK), University of Coimbra (Portugal), Christian-Albrechts-Universitat in Kiel (Germany), University of São Paulo (Brazil), University Federal do Rio Grande do Sul (Brazil) and University of Sakatchewan (Canada). Over the course, you will connect with at least three University environments, in Europe and abroad. Through this incredible learning experience, you’ll develop a vast array of competencies and skills, completed by a professional specialisation in one of several leading fields of ecology. This could be biodiversity, conservation, ecotoxicology, functional ecosystem dynamics, systems theory and ecosystem services, evolutionary ecology, biodiversity assessment, analyses and conservation). You can browse a full list of our previous students' theses to see what kind of topics we cover. You’ll attend courses and field trips at incredible locations around the world to support your learning and research – including the Mediterranean region and tropical ecosystems in Brazil. And you’ll take a number of optional modules to tailor your learning, before completing a Master’s-level dissertation on your chosen subject. You’ll graduate from the IMAE programme with a joint degree and receive a certificate from University of Coimbra and Kiel stating all the universities you have engaged with. From UEA you will graduate with the MSc Applied Ecology – International Programme. Read more about this course on the main International Master in Applied Ecology website. Physical Science Basis, Political Ecology, Evolutionary Biology and Conservation Genetics, Science, Society and Sustainability and lots more. You’ll work on your full-time research project between mid-March to early August, with the support of a faculty member. You’ll conduct an extensive, original and quantitative investigation on a conservation or applied ecology topic carried out in the laboratory, the field (this could be in a number of different worldwide locations, we have special agreements with University of Adelaide, Australia and University of Otago, New Zealand) or you could do an analysis of existing data. You can undertake your project in the Schools of Biological or Environmental Sciences, or with an international, national or local conservation agency (e.g. World Land Trust, Birdlife International, WCS). You’ll write up your research project as a 10,000-word dissertation. 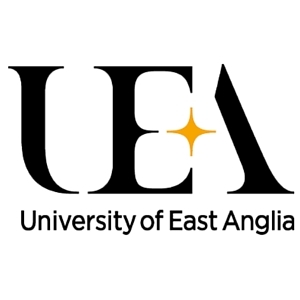 Visit the MSc Applied Ecology - International Programme page on the University of East Anglia website for more details!